Last summer, we posted some tips for keeping sand out of the car. This year, we decided to continue with that tradition and give some more. Read part 2 below to keep your car sand-free during all of your trips to the beach this summer. 1. Use a chair. 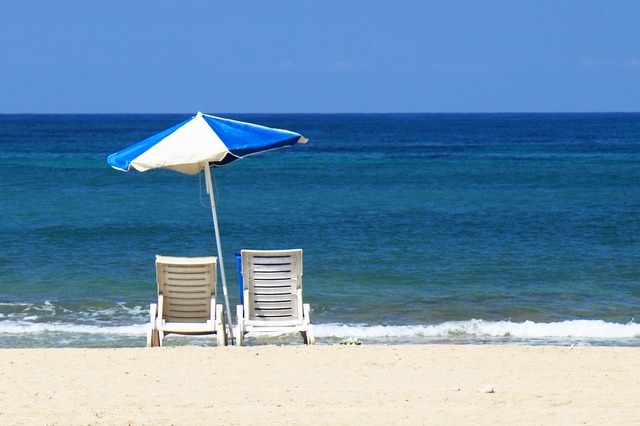 Rather than laying on a sheet or towel that collects sand, use a beach chair instead. You can rinse them off with water before leaving so you won’t be taking any of the beach home. 2. Choose mesh or straw. When packing for the beach, your main concern may be keeping your items dry, but you should really be concerned about the sand. Choose a bag made of mesh or straw so it’s easy to shake out the sand before getting home. 3. Rinse off. Whether it’s a dip in the ocean, a splash of a water bottle, or a hose down, rinsing off is key to to getting rid of sand. Water stirs up the loose sand, so it’s also a great idea to rinse out any buckets or beach toys too. 4. Pack baby powder. It sounds strange, but it works. Rubbing a little bit of baby powder on your hands and feet will help to get rid of the few remaining particles before getting back into your car. 5. Bring a welcome mat. Before entering your house, you probably wipe your feet on a welcome mat. Toss a cheap mat in your trunk and throw it on the ground before you get into your car. This is just the brush you need to really scrub your feet. Sometimes, despite all of your effort, you still end up with a crunchy car floor. When this is the case, seek out our detailing services. Wonderful tips regarding leaving the sand at the seashore itself. One way it safeguards our self and also helps to retain the moments at sea. Thank you for sharing.